Different forms of performing arts have only become popular worldwide fairly recently, what with the onslaught of theatrical plays, dance performances, spoken word artists, musical endeavors and the like in numerous countries. However, it has actually been around for as long as human culture has existed since it primarily centers on speech, music, and dance which are all aspects of a particular society’s cultural traditions. As much as it is a way to express one’s culture, it is also a way to through which people get entertainment. Hence, performing arts is a valuable aspect of every culture. Performing arts is a form of art wherein one uses their body, voice, and face in order to express themselves artistically. This usually includes dance, music, opera, spoken word, theatre and musical theatre, magic, illusion, mime, puppetry, and circus arts. These art forms are performed in front of an audience, which is why it has also become a form of entertainment. Dance generally spans across the most modern and popular ones that we see today to the most traditional folk dance that is rooted in each culture. It is the pinnacle of human movement—while it does not necessarily require music to dance along to, it is always important to follow a beat for a harmonious series of movements that blends into the performances that we watch as a form of entertainment. On the part of the performer, dance is a way to express themselves through meaningful body movements which transcends the barrier of speech. This is why even though people from different cultures or walks of life may not understand each other through verbal discourse, dance is a way to bridge this gap. Music may be considered as the oldest form of performing arts as it is an art form present in all cultures, what with the combination of pitch, rhythm, and dynamic to make sound. It is the type of art that is so pervasive in human life to the point that it created an industry and it still exists until today. Music consists of several genres—folk, hip hop, rock, pop, jazz, and others—each with its own unique sound and flavor. These can be performed live in front of an audience or it can also be recorded and mass-produced in the form of computer files, CDs, and other mediums for people’s convenience. Like dance, music is also a way for people to bridge the gap of speech because it is a type of art that occurs either with words (which we call lyrics) or in its purest instrumental and sound form. We may convey emotions through music and at the same time, it can also influence our own emotions, thus bearing some psychological significance. Theatre is an art form that is performed live, with actors and actresses enacting scenes based on events that may be imagined or real. It is usually performed on a stage in front of an audience. Like the former two common forms of performing arts, theatre also has several different types such as musicals, drama, comedy, tragedy. Taking a look down history, the Greeks are known for popularizing such art form. Theatre is their primary means of entertainment, especially for occasions that are celebratory or commemorative in nature. Today, theatre is still a popular means of entertainment which can be seen in different settings apart from the conventional theatre house. It is enjoyed in schools, in the streets, in parks, at home, and the like, which emphasizes the fact that art does not have to be restricted to their traditional places. How does this connect people? Common to all arts forms is the fact that they all tell a story. 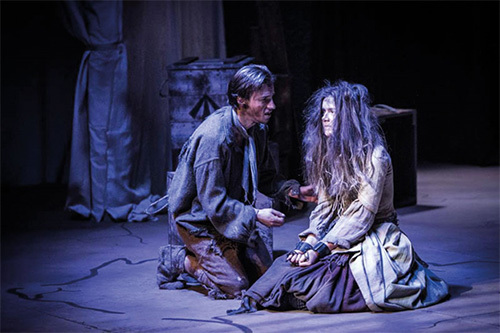 Performing arts, in this regard, is used to connect with other people when normal conversations fail to do so. This is why there are some people who communicate better through such art form, because as each person is unique, their best and most preferred way of communication is also unique. 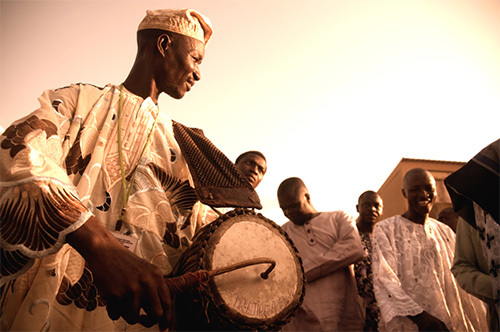 Though performing art is unique to each culture and to every person, it can still transcend barriers that stem from personal or cultural differences since art is made to be appreciated by anyone, regardless of status, race, age, or culture. Hence, as long as there is an audience, the power of performing arts will not die down.